You will agree with me that Polaris has dominated the pool cleaning market. While the brand is famous for suction side pool cleaners, (Polaris 280, 360, 380 and 3900 Sport) it also leaves a mark in the pool cleaners industry. The brand has several models of robotic pool cleaners (Polaris 9350 vs. 9450 vs. 9550 vs. 9650iQ). 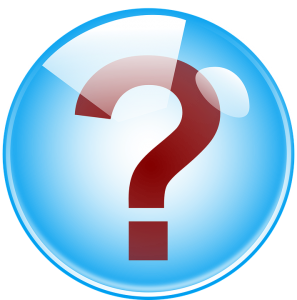 Even though you might have made the right decision to buy from Zodiac, settling on a single model might be a challenge. In this review, we compared all the Polaris robotic pool cleaner on the market so if you are not sure of which model to buy, you came to the right place. To start, we will have an overview of all the models before embarking on the main business of the day; comparing all the important features of these Polaris pool cleaners. 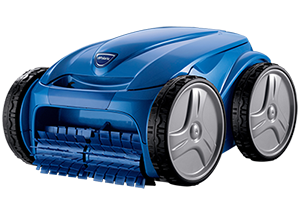 If you are on a budget and you want a basic robotic pool cleaner, get the Polaris 9350. It comes with Vortex vacuum technology making it powerful than the Polaris 8050 and 7240 that use Cyclonic vacuuming technology. The Polaris 9350 has a pleated brush system and a 2WD system. It can clean the pool floor and wall only. If you want the convenience of programming and scheduling, this is the first model to have the 7-day programming. The Polaris 9450 also comes with 4WD while the previous model has 2WD systems. The cable is just the same as that in 9350, but this one has tangle reducing swivel technology. These three are the biggest differences between Polaris 9350 vs. 9450. If you are ready to sacrifice remote control, dirty canister indicator, waterline cleaning, and a few feet of cable for a few hundred bucks, this is a good option. This automatic pool cleaner has a new solid blade brush system and a longer cable. It is also the first to have a dirty canister indicator. The Polaris 9550 also comes with a motion-sensing remote that can be used near the pool. The most significant addition, however, is the ability to clean up to the waterline, something the Polaris 9450 can’t do. This robot vacuum offers the best value for money as it is cheaper and offers remote operation as well. It is only that you have to be near the pool and it won’t connect to other devices. This is the latest Zodiac Polaris robotic cleaner, and the most expensive as well. But the price is justified as it comes with Wi-Fi for smart connectivity. If you are a smart home enthusiast or you want remote control from your office or any other far place from your pool. This is the biggest difference between Polaris 9550 vs. 9650iq otherwise every other thing remains intact. If you are not interested in remote operation, it would be a clever idea to buy the Polaris 9550 as it is cheaper. There are those important features that you would consider when buying a Polaris pool cleaner. We have explored all of them in this segment explaining the features, and importance. We have also highlighted the models that have each particular feature. Where do you want your Polaris to clean? Most robotic, as well as suction side cleaners, will do the pool floor and wall comfortably. However, a few will handle the waterline. If your pool forms a stain on the sides, you need a pool cleaner that can clean the pool floor, walls as well as the waterline. The battle here is between Polaris 9550 vs. 9650 as they both clean the waterline besides the floor and walls. They are also both suited for large pools up to 60ft. The Polaris 9450 and 9350 can manage only the pool floor and walls. The cables are a little bit shorter making the duo ideal for mid-sized pools up to 50ft. in length. Regarding pool sizes, any cleaner is suitable as long as the supplied pool cable can stretch from one end of the pool to the other. They all clean concrete pools, vinyl, finite and fiberglass. However, if you want all-round cleaning, pick either the Polaris 9550 or 9650. Even though they are quite expensive, there’s a time when you will need a cleaner that can handle waterline. This is the most important consideration when buying a Polaris pool cleaner because performance varies from one model to another. When talking about cleaning performance, two things come to mind; brush system and vacuuming technology. All the Polaris robotic pool vacuums use Vortex vacuuming technology except for the Polaris 8050 and 7240 that come with a cyclonic vacuuming technology. Patented Vortex technology delivers 4× more suction power. Together with the wide mouth opening, it guarantees efficient filtering of both small and large debris. When it comes to the brush system, there is a slight variation. The two new Polaris automatic cleaners come with a solid blade brush system that is more efficient in agitating dirt and scrubbing the tough stains. The solid blade brush is also durable. The Polaris 9350 and 9450 have the old pleated brush which is still efficient but gets overwhelmed on tough algae and waterline stains. As witnessed, Polaris solid blade brushes are the best, and that makes the 9550 and 9650iQ the winners here. Your pool cleaner will require frequent maintenance, especially during summer when it is in full swing use. The canister, in particular, will need to be emptied when full (preferably after cleaning sessions). Only the Polaris 9550 and 9650iQ come with the Dirty Canister Indicator. At least this way, there is no guesswork or having to check the cleaner now and then only to find that it is all good. If you’d ask me, this is a critical feature. In most of the Polaris 7240, 8050, 9350 and 9450 pool cleaner troubles, a full canister is mostly the culprit. Whether you find it not cleaning dirt, unable to climb walls or not staying firmly on the pool floor, check the canister first. All the Polaris robotic cleaners come with an Easy Clean Filter Canister. This is a simple design that makes accessing the canister and emptying it a buzz without exposing you to the dirt. With a simple rinse, you are good to go; no worries of expensive replacement bags. As far as the easy clean filter canister is concerned, it is a no-show. However, when you factor in the full bin indicator function, the winners are the Polaris 9550 and 9650iQ. Most robotic pool vacuums don’t move randomly like suction side pool cleaners. They have intelligent navigation systems which enable them to find their way around the pool and most importantly, for full pool coverage. 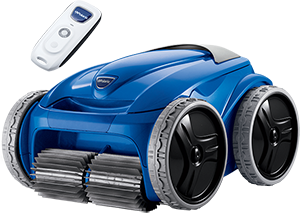 Zodiac Polaris robotic pool cleaners come with ActivMotion Sensor technology. As the name suggests, this is a system that comes with a motherboard and combines sensors to know its position in the pool, where it is from and in what direction should it go next. All four pool cleaners in our review have ActivMotion Sensor navigation technology. They can cover both small and large in-ground pools entirely without skipping some regions. The exception is Polaris 8050 and 7240 which still move randomly, and that’s why there are complains of missed spots. Any Polaris model in the 9000 series is a worthy choice here. However, I would go for the latest model; either the 9550 or the 9650iQ as they come with the latest updated microprocessor and software. That means better data transfer and consequently, better coverage and ultimately, the best efficiency. Some robotic pool cleaners have tracks for locomotion while others have wheels. Polaris 8050 and 7240 happen to be models with tracks while the rest of the cleaners have wheels. Tracks have better traction but require frequent replacement. On the other hand, wheels have the offroad capability to climb all kinds of dirt on the pool floor. But then, it depends on the wheel system you have; either 2WD or 4WD. The Polaris 9350 is the only model that comes with a 2WD system. It can climb dirt and traverse all kinds of pools without any problem. However, on walls and curved floors, it tends to get overwhelmed, and the cleaner noticeably takes longer to clean the entire pool. As for the Polaris, 9450, 9550 and 9650, we have a 4WD system which makes the cleaners much faster. If you have a large pool, this should be a priority as you want a clean pool as soon as possible. They also traverse through the different pool floor types and climb the sides without any problem. My best bet here is the Polaris 9550 or the 9650iQ depending on my budget and also if I need mobile app operation or not. 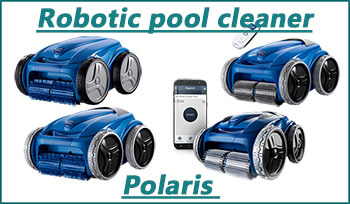 Just like most robotic appliances, Polaris robotic pool cleaners offer programmability. This feature allows you to schedule cleaning sessions maybe for a day or even a week. Once the set time reaches, the pool cleaner starts cleaning automatically without being prompted further. But then, this is a premium feature that is not available for all the models. If you want this kind of convenience, you have three options; Polaris 9450, 9550 or 9650iQ. These come with a 7-day programmable cleaning cycle. You can conveniently schedule the day and time you want it to clean, and that’s how you achieve a clean pool the entire summer. The only difference I would say is in the actual setting; where do you program the pool cleaner. Here, the Polaris 9450 falls out of favor as it only has the head unit. The battle is between Polaris 9650iQ vs. 9550 as they have a mobile app and IR remote respectively. Polaris 9350 together with the 8050 and 7240 have to be operated manually. This is quite a hassle, but for the love of clean water, you have no option. If you want the best pool cleaner here, pick Polaris 9650iQ as the app features give you more control over your cleaner. Scheduling cleaning sessions is easier and overall, the 9650 is more intelligent. Advanced pool cleaner can now be controlled remotely using physical IR remotes or even Smartphone apps. Here, the contest is between Polaris 9550 vs. 9650iQ which are two of the best robotic pool cleaners in the market right now. The Polaris 9550 is the first model to feature any remote control protocol. Zodiac engineered a physical remote that can control the pool cleaner from a distance. You don’t have to walk over to the head unit. This remote also helps you direct the cleaner where there is dirt. As for the Polaris 9650iQ, we have an entirely new approach that seeks to blend with a contemporary smart home. This cleaner comes with Wi-Fi connectivity that connects it to Smartphone apps and web interfaces. You can now monitor your pool cleaner right from your office on the iAquaLink Control mobile app. You can control the cleaner’s movement on an intuitive app interface with the joystick. The app also offers instant notifications during major events like when the cleaning session is complete or when the cleaner is out of coverage. Unfortunately, there are no pop-up notifications. Polaris 9350, and 9450 as well as the 8050 and 7240 lack any remote control protocol. You have to rely on the head unit solely. While this might not be a bother to owners of small pools, it may be punitive for large pool owners to walk the distance in the scorching summer sun. Of course, the old Polaris cleaners don’t stand a chance here. The battle is between Polaris 9650iQ vs. 9550. Our choice here is the Polaris 9650iQ because of the convenience of remote mobile app operation and monitoring. But we understand that a smart appliance may not be everyone’s cup of tea amid cases of connected devices being hacked. That said, the Polaris 9550 is still a great deal to some. Mind you, it has every other feature the Polaris 9650iQ boasts. Robotic pool cleaners are bulky, especially when they have sucked up water. A lot of people risk their cleaners by pulling the cable to get the cleaner out. The Zodiac Easy Lift System is a feature that enhances usability by making it easy for pool owners to remove the cleaner out of the water after a complete cleaning session, or otherwise. You no longer have to pull the cord; just press the Easy Lift button, and it will promptly come to the side of the pool. As you pull it out, it will start expelling the water it had sucked. All four Polaris pool cleaners come with the Easy Lift system. The only difference comes with how the feature can be activated. In the Polaris 9350 and 9450, you can only use the button on the head unit. In the Polaris 9550 and Polaris 9650iQ, you can activate Easy Lift on the remote and the mobile app respectively, as well as the head unit. Note that the Polaris 8050 and 7240 don’t have Easy Lift. The Polaris 9350, 9450, 9550 and 9650iQ are all great because they have an Easy Lift system. However, we feel the battle here is between Polaris 9550 vs. 9650iQ now that they have other Easy Lift control access apart from the head unit. 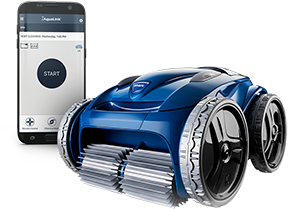 It all goes down to your choice between a Wi-Fi pool cleaner (Polaris 9650iQ) or a remote-controlled robotic pool cleaner (Polaris 9550). Polaris pool cleaners come with different cables; both in terms of length and quality. It should be long enough to cover your entire pool and in the same token, long enough to reach your mains. Besides cable length, tangling is also a concern, and the good thing is that the latest models have tangle-free cables. Your choice of cable length should be in line with the size of your pool; obviously with the larger pools requiring more cable length, and reduced tangling. So, how do Polaris robotic pool cleaner compare here? The Polaris 9550 and 9650iQ come with a 70ft. Cable for the mains and a 60ft. Cable for the pool. As for the Polaris 9350 and 9450, the cable length is shorter with 60ft. for power and 50ft. for the pool. Here, the battle is between Polaris 9650iQ and 9550 vs. 9450 and 9350. I wouldn’t say that there is a better choice. As long as any length covers your pool, and you can still access the mains, you’re good to go. If I were to choose, however, I would go for a longer cord; you might consider a bigger pool. As for cable tangling, we have Polaris robotic cleaners with tangle-reducing swivel while others are short of this feature. The Polaris 9450, 9550 and 9650 will hardly tangle. Again, in the event of tangling, you can also easily entangle it. As for the Polaris 9350, it frequently tangles especially when used in a large pool that takes all that 50 ft cord. We only recommend this model if you have a small pool otherwise, entangling it will be taking much of your precious time. Here, we feel the winners are Polaris 9450 and 9550. For the Polaris 9650, it ought to have come with a 360 swivel like the 2018 Dolphin Premier. We are coming to the close of this robotic pool cleaner comparison review. So, which is the best Polaris modelr? Well, the battle here is between the Polaris 9550 vs. 9650iQ. These two have the best features as far as cleaning performance is concerned. The new brush system ensures that all pool stains are scrubbed and sucked by the cleaner. They both have a 4WD system that enables the climb pool sides aggressively and tackle any pool floor shape. As far as cleaning performance is concerned, it is a draw between Polaris 9650iQ vs. 9550. When it comes to convenience, it is a split decision because one has Wi-Fi for mobile app operation but is much pricier whereas, on the other side, you have the same raw cleaning performance and a physical remote controller. Personally, I am a smart home enthusiast so I would prefer the Polaris 9650. But if I have a few other things to sort out with the extra few hundred bucks, the cheaper Polaris 9550 is also worth considering. In the market, you will also find two old Polaris robotic pool cleaners; Polaris 7240 and 8050. If you have to choose between these two, here’s what you need to know. They all come with Cyclonic vacuuming technology, easy clean canister filter, tracks instead of wheels and a pleated brush system. The two lack ActivMotion sensors, and the Easy Lift system. But what’s the difference between Polaris 7240 vs. 8050? Well, the Polaris 8050 is superior and comes with a Premium Caddy and a longer pool cable. 1. How does a Polaris robotic pool cleaner work? A robotic cleaner works by navigating around your pool sucking up the dirt and debris it comes across. A typical robotic pool cleaner comes with two motors. There is a drive motor that is attached to the wheel system for propulsion. Some advanced models come with intelligent navigation technology to guarantee entire pool coverage. The other motor is for generating vacuum power that draws water from the pool and passing it through a filter before expelling it back to the pool. 2. Do Polaris robotic pool cleaners require a booster pump? No, these cleaners are independent and don’t require a booster pump to operate like the Polaris suction side cleaners. They have motors for propulsion as well as suctioning. 3. My Polaris robotic cleaner is no longer climbing walls The first culprit here is a full canister. Worn out wheels or tracks may also make the cleaner unable to climb the pool wall. Replace them if there are any signs of wear and tear or if they are old. The pool walls could also be slimy and slippery because of microscopic algae. You may need a shock chlorination treatment to bring down the pH a little bit. 4. My cleaner is not effective anymore First, check if the canister is full. Another thing, the brush might have been worn out. Check the brushes thoroughly and if need be, replace them accordingly. Also, inspect the cable and make sure there are no tangles. Above all, ensure the cable is floating freely on the pool. 5. My pool cleaner cable tangles too often If you are using the old Polaris cleaners, this is common because they don’t have the tangle-free swivel technology. However, if you experience this with the 9450, and higher models, then you might be floating too much cable in the pool. 6. Do Polaris robotic pool cleaners qualify for rebates? Zodiac Polaris offers rebates on some products. 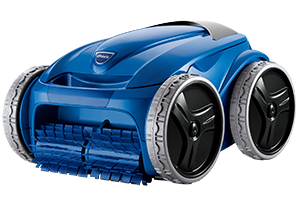 Amongst robotic pool cleaners, only the Polaris 9650iQ and 8050 are eligible for rebates. Make sure to go through the terms and conditions of the Polaris rebate program. There you have it folks; a detailed Polaris 9350 vs. 9450 vs. 9550 vs. 9650iQ comparison review. If you couldn’t be able to tell the difference, we’re glad that you are now all set to make the right decision on which is your best Polaris robotic pool cleaner. We hope that this review will be resourceful in helping you get the best value for your money.